Ayesha Jalal is the Mary Richardson Professor of History and the Director of the Center for South Asian and Indian Ocean Studies at Tufts University. Between 1998-2003 she was a MacArthur Fellow. She obtained her BA, majoring in History and Political Science, from Wellesley College, USA, and her doctorate in history from the University of Cambridge. Dr Jalal has been Fellow of Trinity College, Cambridge (1980-84), Leverhulme Fellow at the Center of South Asian Studies, Cambridge (1984-87), Fellow of the Woodrow Wilson Center for International Scholars in Washington, DC (1985-86) and Academy Scholar at the Harvard Academy for International and Area Studies (1988-90). She has taught at the University of Wisconsin at Madison, Tufts University, Columbia University and Harvard University. 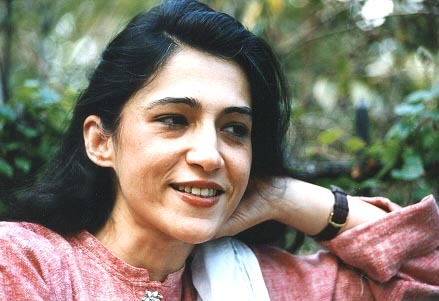 Her publications include The Sole Spokesman: Jinnah, the Muslim League and the Demand for Pakistan (Cambridge: Cambridge University Press,1985 and 1994); The State of Martial Rule: the Origins of Pakistan's Political Economy of Defence (Cambridge: Cambridge University Press, 1990) and Democracy and Authoritarianism in South Asia: a Comparative and Historical Perspective (Cambridge: Cambridge University Press,1995) and Self and Sovereignty: the Muslim Individual and the Community of Islam in South Asia since c.1850 (Routledge, 2000; Oxford University Press and Sang-e-Meel, 2001). She has also co-edited Nationalism, Democracy and Development: State and Politics in India (Delhi: Oxford University Press, 1997) and co-authored Modern South Asia: History, Culture and Political Economy (Routledge 1998) with Sugata Bose which has been published by Oxford University Press in India and by Sang-e-Meel in Pakistan. Her most recent book is Partisans of Allah: Jihad in South Asia (Harvard University Press, 2008). She is currently working on several projects, including A Short History of Pakistan (Cambridge University Press), Jinnah (Permanent Black and Indiana Press) and is the general editor of the Oxford Companion of Pakistani History.